(Trent Nelson | The Salt Lake Tribune) Nachos Sin Carne at Lil Lotus, a new vegan/vegetarian restaurant in Sugar House, Salt Lake City on Tuesday Dec. 11, 2018. (Trent Nelson | The Salt Lake Tribune) The Cowspiracy Burger at Lil Lotus, a new vegan/vegetarian restaurant in Sugar House, Salt Lake City on Tuesday Dec. 11, 2018. 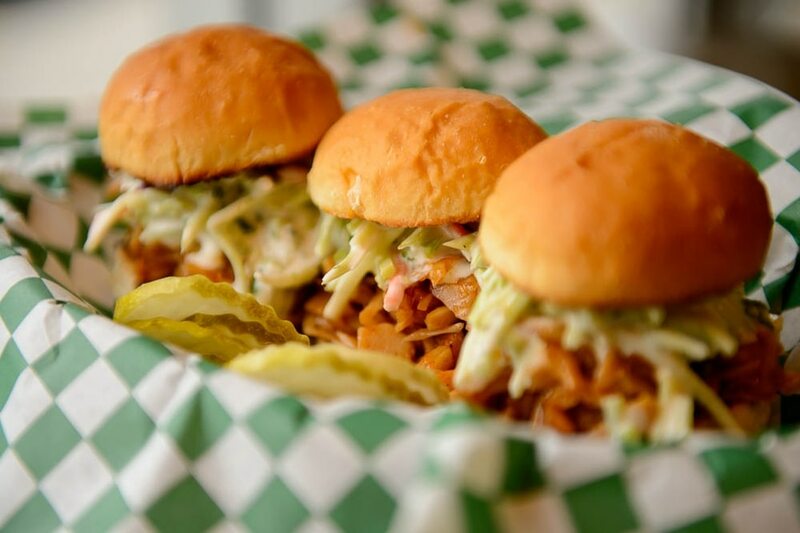 (Trent Nelson | The Salt Lake Tribune) BBQ Jackfruit Sliders at Lil Lotus, a new vegan/vegetarian restaurant in Sugar House, Salt Lake City on Tuesday Dec. 11, 2018. (Trent Nelson | The Salt Lake Tribune) Navajo Tacos at Lil Lotus, a new vegan/vegetarian restaurant in Sugar House, Salt Lake City on Tuesday Dec. 11, 2018. (Trent Nelson | The Salt Lake Tribune) Navajo Tacos at Lil Lotus, a new vegan/vegetarian restaurant in Sugar House, Salt Lake City on Tuesday Dec. 11, 2018. (Trent Nelson | The Salt Lake Tribune) Lil Lotus, a new vegan/vegetarian restaurant in Sugar House, Salt Lake City on Tuesday Dec. 11, 2018. (Trent Nelson | The Salt Lake Tribune) Lil Lotus, a new vegan/vegetarian restaurant in Sugar House, Salt Lake City on Tuesday Dec. 11, 2018. (Trent Nelson | The Salt Lake Tribune) Lil Lotus, a new vegan/vegetarian restaurant in Sugar House, Salt Lake City on Tuesday Dec. 11, 2018. 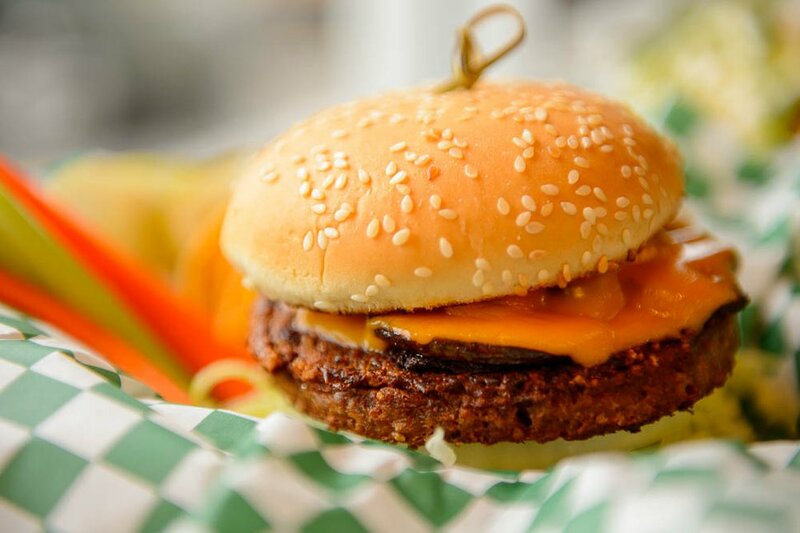 (Trent Nelson | The Salt Lake Tribune) The Cowspiracy Burger at Lil Lotus, a new vegan/vegetarian restaurant in Sugar House, Salt Lake City on Tuesday Dec. 11, 2018. Yeah, me, too. Probably too often. I couldn’t help but think that exact thing when I entered Lil’ Lotus, 2223 S. Highland Drive, Salt Lake City. The fast-casual restaurant, tucked into a small space in a Sugar House strip mall, serves a vegetarian/vegan menu. I had prepared for that. 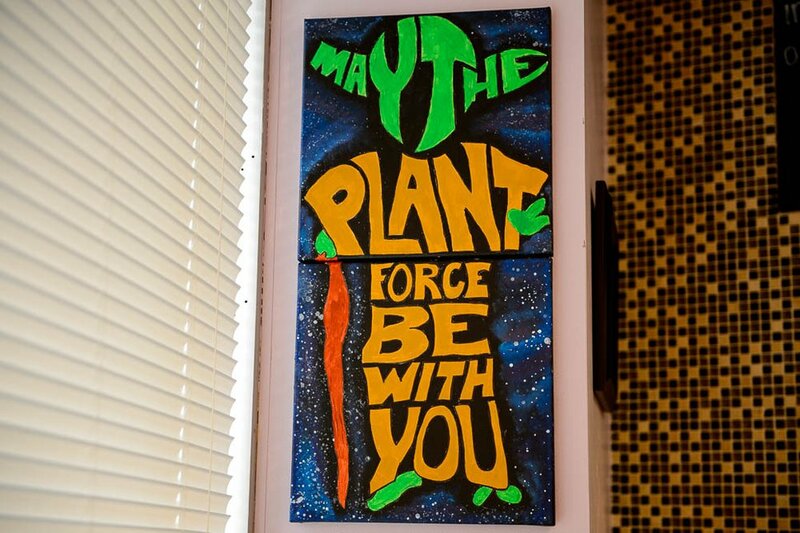 But I didn’t expect the vibrant, tie-dye art — Buddhist symbols, animals and “Star Wars” characters — that adorns the walls, or the reggae that plays through an overhead speaker. And I definitely did not anticipate using a species-inclusive restroom, open to humans and aliens — as long as you have a key. It all felt a little … trippy. (Trent Nelson | The Salt Lake Tribune) Lil Lotus, a new vegan/vegetarian restaurant in Sugar House, on Tuesday, Dec. 11, 2018. The menu is more grounded. 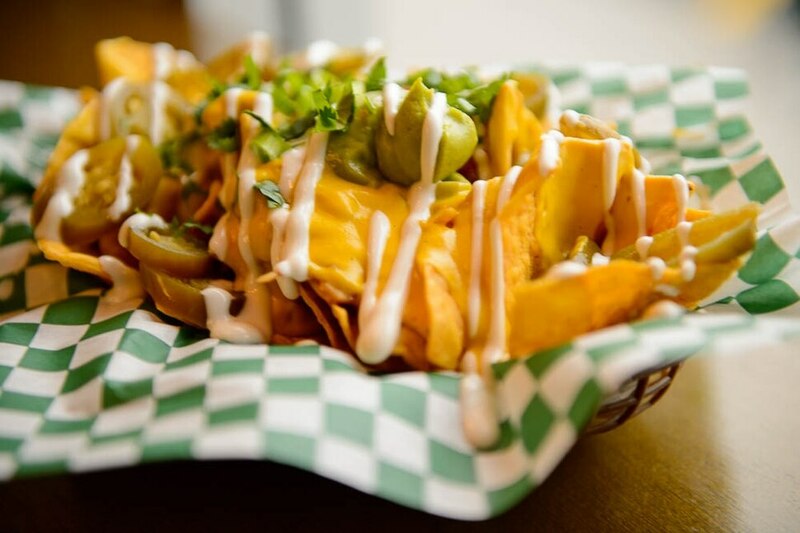 Lil’ Lotus puts a plant-based spin on American classics like nachos and burgers, making them easily recognizable to nonvegans. Indeed, certain items hardly taste like a departure from the original, animal-based dishes. Case in point: A family member who has never eaten vegan food plowed through two “hot dogs” grilled in sunflower oil without complaint, and that’s saying something. My favorites included the Navajo tacos, buffalo florets and tenders, and Korean barbecue jackfruit sliders (all adult entrées cost $9.95). (Trent Nelson | The Salt Lake Tribune) Navajo Tacos at Lil Lotus, a new vegan/vegetarian restaurant in Sugar House, on Tuesday, Dec. 11, 2018. 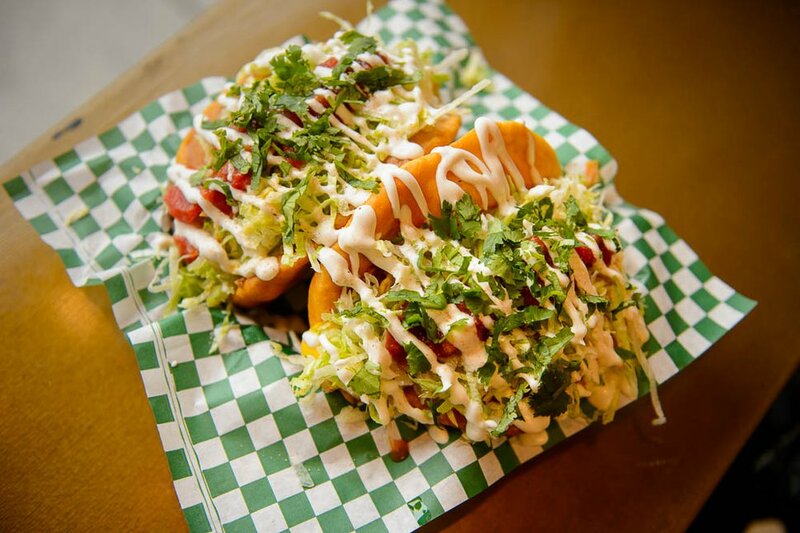 The Navajo taco comes with a choice of chickpea chorizo, chili or barbecue jackfruit, topped with power greens, “not-yo” cheese sauce, pico de gallo, lime crema and cilantro atop house fry bread. I opted for the chickpea chorizo, which had some kick but not quite enough spice to mimic a true spicy sausage. I also wanted more of the filling, which had a smooth yet chunky texture (similar to refried beans) — but that’s my only complaint. The taco offered varying textures and flavors, and I particularly enjoyed the burst of lemon-lime from the cilantro and crema. With the cauliflower florets and meat-free tenders, I asked for the buffalo sauce on the side, so I could dip them in the accompanying chimichurri ranch, another refreshing example of Lil’ Lotus’ sauces. Although owner Mindy Wah said she wanted to stay away from processed and artificial foods, Lil’ Lotus uses Gardein tenders and other meat alternatives because they are in such high demand. Both the tenders and the battered florets arrived light and crispy, although I found the latter too saturated by the rice bran oil. The carrots and celery lightened things up, while the tortilla chips felt out of place. (Trent Nelson | The Salt Lake Tribune) BBQ Jackfruit Sliders at Lil Lotus, a new vegan/vegetarian restaurant in Sugar House, on Tuesday, Dec. 11, 2018. The jackfruit sliders were the most surprising. The black sesame seeds in the broccoli slaw added an enjoyable nuttiness and crunch, but I could not find any Korean spices in the barbecue sauce, which I still liked despite the misnomer. The two paired well with the jackfruit, but the firm slider buns couldn’t contain the creamy slaw and sauce-coated jackfruit when I took a bite. Other items had minor flaws — the poblanos added depth but too much heat to the mac and cheese for my tastes, while the sauces in the burrito overpowered the tofu, succotash and other ingredients. I’d also skip the plain fries (add to an entrée for $2) and upgrade to the chili and cheese version ($9.95). Without the additional toppings, the potatoes are one-dimensional in taste and texture — something the rest of Lil’ Lotus’ menu is not. Those are all minor quibbles, though, and all quite easily remedied. (Trent Nelson | The Salt Lake Tribune) The Cowspiracy Burger at Lil Lotus, a new vegan/vegetarian restaurant in Sugar House, on Tuesday, Dec. 11, 2018. Here’s the biggest revelation about Lil’ Lotus: The restaurant doesn’t offer much new or different in plant-based cuisine. Perhaps that will change with the soon-to-be-updated menu, although I can’t imagine Lil’ Lotus completely moving away from comfort food. No, Lil’ Lotus is not particularly exciting, but it is flavorful. And, ultimately, to me, that matters most. Lil’ Lotus • ★★ ½ (out of ★★★★). The Salt Lake City restaurant delivers the comforts of American classics with a plant-based twist.